I love this time of year when my garden is producing fresh tomatoes daily. I am inspired to make simple and healthy salads. I love changing them up, it keeps everyone at Casa Linda inspired to eat a salad daily. And yes, I try to make a salad a day, my kids eat salad too. I encourage them to stay healthy by eating raw vegetables whenever possible. Today I picked a variety of small tomatoes from my garden and thought I would make a simple fresh garden salad. I had some Persian cucumbers on hand, I love them because they are tender and don't have large seeds. If you have never tried them, I highly recommend that you give them a try. They make it easy to prepare a quick lunch or dinner salad because you don't have to peel them. 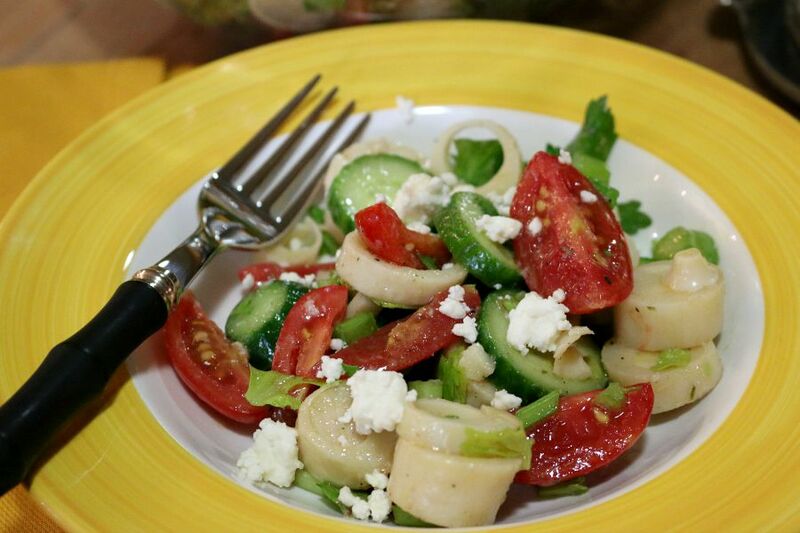 I also keep hearts of palm in my pantry for salads, they are so delicious and a great addition to nearly any salad. The feta was a last minute addition and it was the perfect topping for the fresh garden tomatoes. 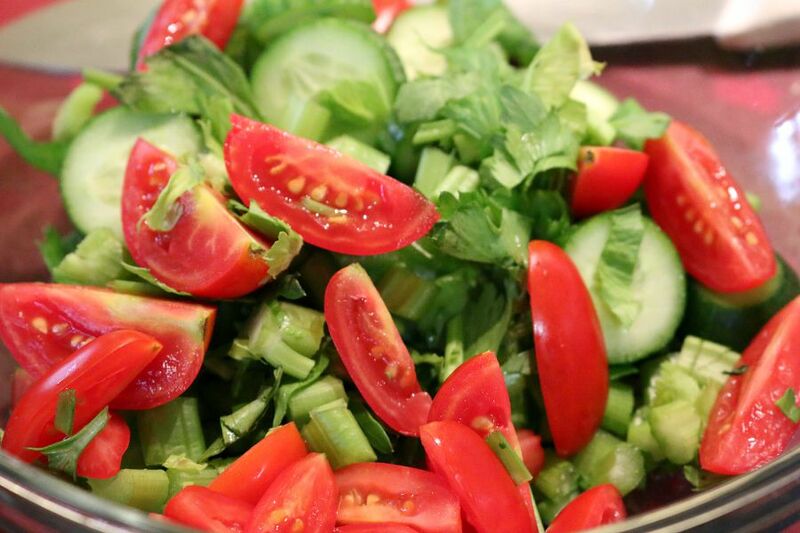 Salad assembly: layer tomatoes, sliced cucumber, hearts of palm and celery, drizzle dressing over entire salad, toss gently and serve immediately! TIP: I like my dressing with a little tang, if you are not a fan of tangy dressings, simply decrease the vinegar by 1 - 2 tablespoons. Mini Plum Garden Tomatoes make for a delicious side salad! 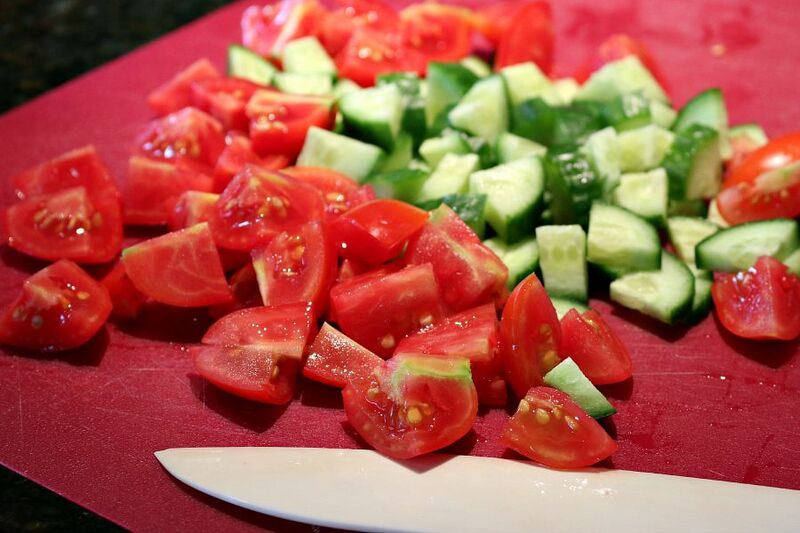 Garden Tomato & Cucumber Salad, I love having fresh vegetables from my garden to make salad. There is nothing tastier than home grown tomatoes. 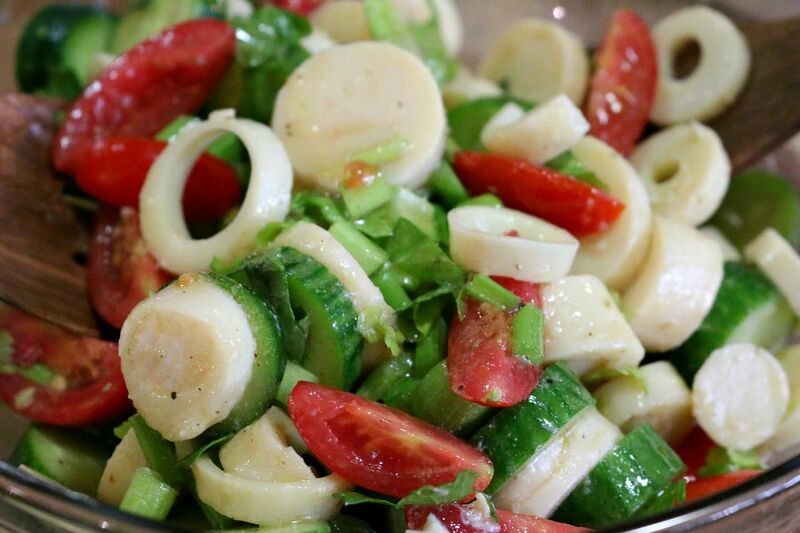 Hearts of Palm make a nice addition to the mini plum tomato salad!